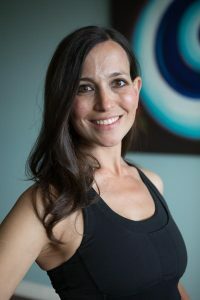 Jody Stern is BASI (Body Arts and Science International) certified and The Pilates Body, in Central Phoenix is proud to be the BASI host studio in Phoenix, AZ. Jody is honored to have earned her BASI Faculty credential, becoming a part of a worldwide group of the highly esteemed Pilates teachers. Jody has been teaching Pilates for nearly 20 years, opening The Pilates Body in 2000. Jody has been a fitness professional for over 30 years. She earned her degree in Adapted Physical Education from California State University, Northridge. Jody taught aerobics, stretch and body conditioning in Los Angeles before moving to Israel in 1986 where she was the group exercise coordinator and instructor trainer at the Tel Aviv Healthclub. Upon returning to L.A. in 1990, Jody worked as the stretching coach to the L.A. Clippers and managed her own personal training business. Jody and her family moved to Phoenix in 1994. In 2009, Jody sold her original studio Arcadia location, to close friend and colleague, Lisa Bettini Moro and successfully opened the Central Phoenix location. In 2012, Jody and Lisa trained in the BASI method. They were honored to be in the inaugural Pro Bridge Comprehensive course with BASI founder and world-renowned educator, Rael Isacowitz. Jody is a BASI graduate since February 2014, took the Injuries and Pathologies course in October 2015, as well as many BASI workshops and Learn from the Leaders conferences. She has completed the Mentor, Master l and Master 2 courses in the distinguished BASI Legacy program with Rael Isacowitz. Jody completed her BASI Faculty training in January 2019! 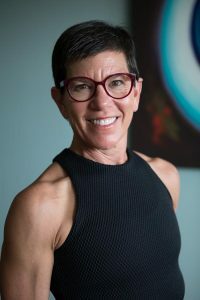 Jody is also STOTT PILATES certified through the advanced level in Matwork, and Reformer and fully trained on Cadillac, Chair, & Barrels and in “Injuries and Special Populations.” Jody is a certified Spinning teacher. Pilates is a driving force in Jody’s life, and she continues to grow as a teacher and studio owner. Nothing gives her more pleasure than being able to make a difference and help people of all ages and stages feel better with Pilates! Jody is an avid swimmer and cyclist, and competed since 1982 in running 10k, half-marathon, marathon distances, and sprint and Olympic triathlons. No longer able to run, without Pilates, Jody feels that she would not have the physical or mental strength to keep moving forward! Jody is married to Itamar and is the proud mother of Ellie and Ari. Morgan Tannenbaum joined the staff of The Pilates Body in 2006. She is a certified STOTT PILATES® instructor. Additionally, Morgan went through the BASI (Body of Arts and Science International) comprehensive Pilates training course in 2014, hosted by The Pilates Body, Central Phoenix. 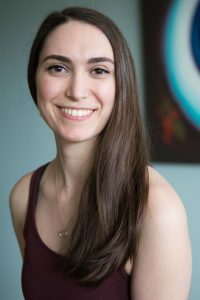 Morgan’s interest and practice of Pilates began when she was a fourteen-year-old dancer, using the mat work to aid and enhance her dance training, strength, and flexibility. Throughout her dancing career, she religiously took mat work to increase her strength and stability, while challenging her body in dance. Morgan graduated with honors from Arizona State University with a BFA degree in Dance Education. While at Arizona State, Morgan performed in several dance venues. In addition to her performance credits, Morgan was hired into East Valley high schools to teach about muscle, posture, and health. She attributes this opportunity to her love and aptitude for kinesiology. Morgan continues to be intrigued by this study of movement, postural instabilities, as well as ways to aid people of all ages to deal with these instabilities. Morgan spent a semester abroad in Australia. In Australia, Morgan developed an after-school program where students could take technique dance classes as well as showcase their choreography. Immediately following her college graduation, Morgan pursued Pilate’s education certification in Chicago, Illinois. Pilates is an important part of Morgan’s life and she strives constantly to grow and evolve as a teacher and practitioner. Morgan loves that Pilates is movement and exercise for all ages and body types. She enjoys working with a variety of clients and creating programs that are tailored to their physical needs. Morgan particularly enjoys and excels in her work with the older population, stressing balance, stability and strength. Morgan is certified in Mat work and Reformer and trained in Cadillac, Chair, & Barrels as well as in “Injuries and Special Populations.” She has continued her education through a variety of workshops and courses, including BASI’s Pilates for the Mature Client in Feb 2016. Morgan is married to Steve Tannenbaum. Colton Edward joined their family in May 2014, and became a proud big brother to Ava in March 2016! Together they enjoy hiking, swimming and running. Suzanne McCoy is a BASI (Body Arts and Science International) graduate. She completed her BASI Pilates comprehensive course at BASI headquarters in Costa Mesa, CA with founder, Rael Isacowitz. in 2016. She has a bachelor’s degree in Healthy Lifestyles Coaching from Arizona State University. Suzanne, a Phoenix, AZ native, who dreamed of being a ballerina, spent years of training and dedication to ballet starting seriously at 10 years old. In 2012, she became a trainee with Ballet Arizona and danced with them for two years. To supplement her ballet training, Suzanne began practicing Pilates in 2012 at the Pilates Body in Central Phoenix. She retired from dance due to injury, and decided to pursue formal education and a career in her newfound passion, Pilates! Suzanne began her Pilates education with the BASI Foundation course hosted by The Pilates Body, Central Phoenix, in 2014. In September 2015, she was an apprentice to Jody Stern, owner of The Pilates Body, Central Phoenix location. That same year she became a BASI graduate in the Mat work six month apprentice position provided many private hours with Jody, required numerous observation and practice hours, and ultimately led to an eight week maternity leave teaching opportunity. Suzanne joined the distinguished list of Pilates Body teachers in May 2016. Subsequently, Suzanne completed Injuries and Pathologies as well as BASI workshop, Pilates for the Mature Client In February 2016. Pilates is a major focus in Suzanne’s life, as her own Pilates movement was able to take the place of ballet when she stopped dancing. She is stronger and more balanced than ever before. Dance is still a part of Suzanne’s life. In addition to Pilates, Suzanne teaches ballet to school age children. Suzanne continues to learn and grow with a constant goal of being the best teacher she can be. 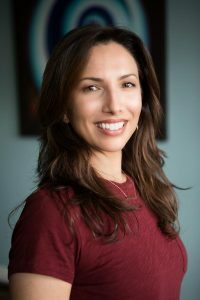 Michelle Lopez is a Stott Pilates certified instructor trained in Matwork, Reformer, Cadillac, Chair and Barrels. She has experience working with injuries and special populations. In 2014 she completed a Mind Body Wellness Practitioner program from South West Institute of Healing Arts with a focus on Holistic Nutrition and Hatha Yoga, YTT 200hr level, and continuing Yoga studies at Desert Song Healing Arts Center 2018-2019. In 2017-2018 She participated with Maricopa County Department of Public Health in their Wellness Initiative Programs to bring Tai Chi for Arthritis and Fall Prevention to senior communities. Michelle has been teaching Pilates full time for 10 years! working with individuals one-on-one tailoring sessions to client’s specific needs. She also has experience teaching duets, and group classes. The sessions have a strong focus on the Pilates principles of alignment and control of movement for an effective and safe experience. Building awareness of movement, coordination, strength and flexibility is the goal in each session. Michelle has a passion for mindful movement, also enjoys walking, hiking, trail running, snowboarding, and anything outdoors that connects humans back to nature.